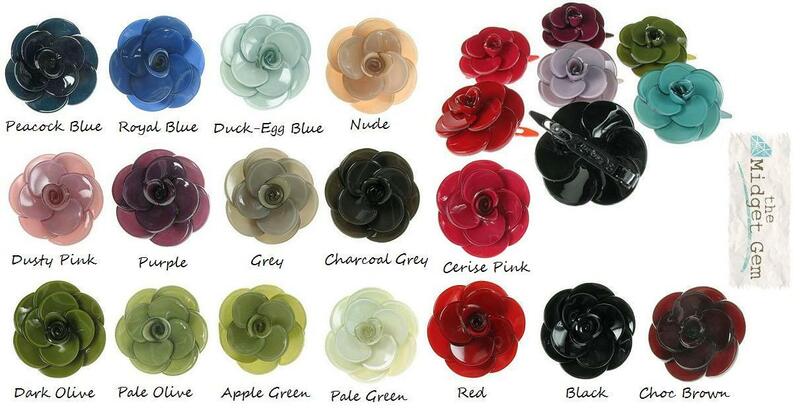 Beautifully formed 3D acrylic rose hair clip. 4cm/40mm diameter. Holds a small amount of hair great for decoration. Various colours available and further choice below in 'Colour Set 2'. 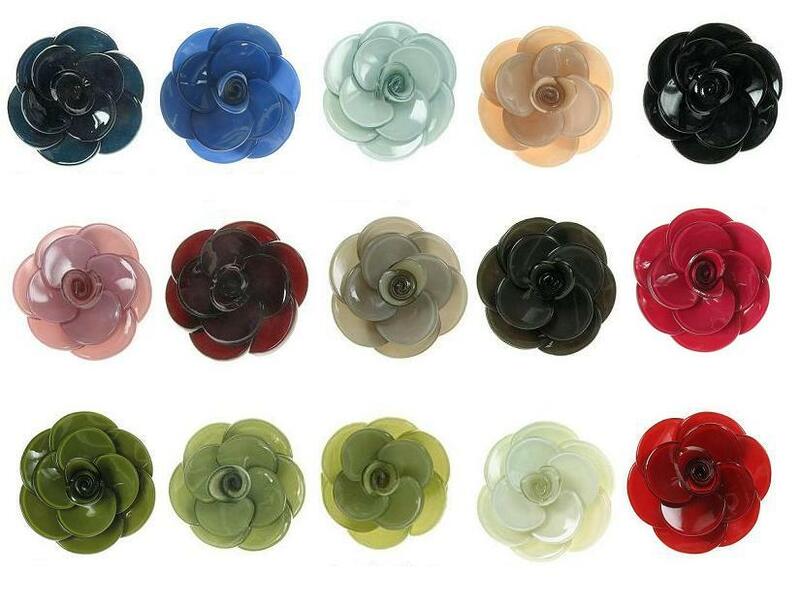 Beautifully formed 3D acrylic rose hair clip. 4cm/40mm diameter. Holds a small amount of hair great for decoration. Various colours available and further colours available in 'Colour Set 1'. Beautifully formed 3D 'Peony' flower hair clip with beaded centre. Acrylic. Various colours available. Flower measures 6cm/60mm diameter. Holds a small amount of hair that is great for decoration. Really cute fruit! Fun pair of cherries hair clip. Acrylic with Swarovski crystals. Measures 5cm/50mm (widest part). Holds a small amount of hair ideal for decoration. Really cute bird house hair clip. Acrylic with Swarovski crystals. 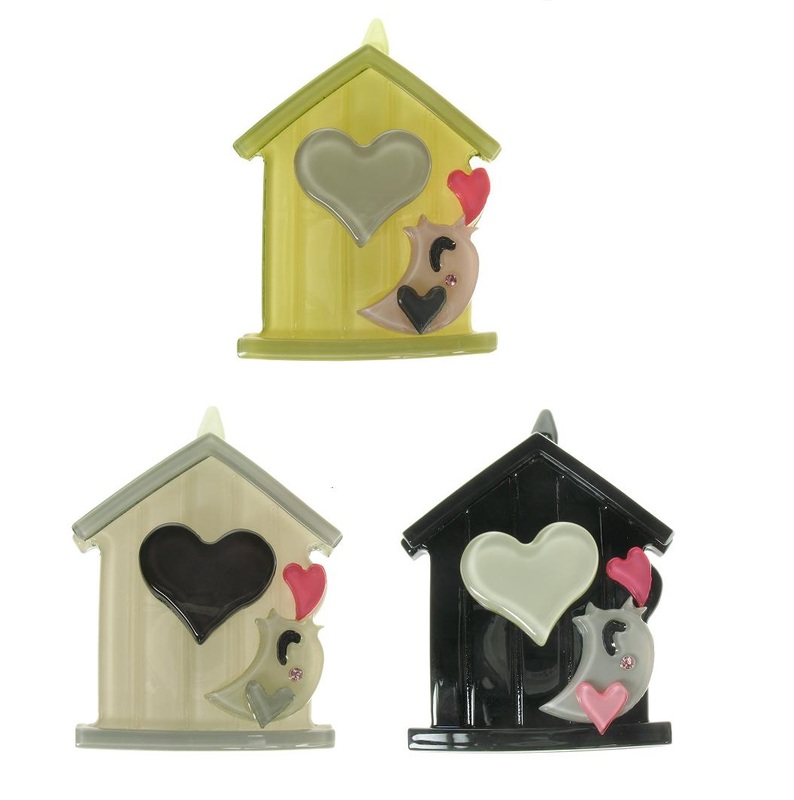 The bird house measures 4cm/40mm (length). Holds a small amount of hair ideal for decoration. Really cute kitty cat brooch. Acrylic with Swarovski crystal eyes, nose and bow. Various colours available. Measures 3cm/30mm widest point. Holds a small amount of hair - great for decoration. Cute Chihuahua/Chiwawa dog hair clip. Acrylic. Various colours available. The dog measures 6cm/60mm long. Holds a small amount of hair - great for decoration. A spotty bird hair slide. Measures 5cm/50mm widest point. 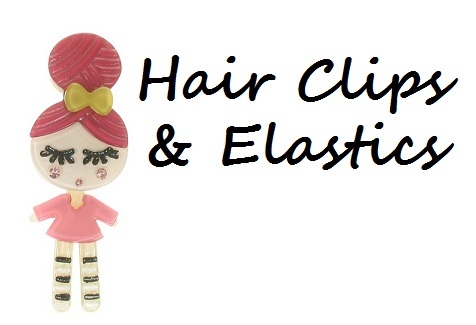 The clip will hold a small section of hair ideal for decoration. Various colours available. Beautifully formed larger 3D acrylic rose hair elastic. Thick anti-tangle black elastic will hold a large amount of hair. Various colours available. Rose measures 6cm/60mm diameter. Pretty heart with a posey of 3-D roses. The heart measures 4cm/40mm (widest point). Holds a small amount of hair - great for decoration. Acrylic. Various colours available.